You can choose a user whose context should be used to execute the action here. The login for the M-Files service that is assigned to the user is determined during the process. 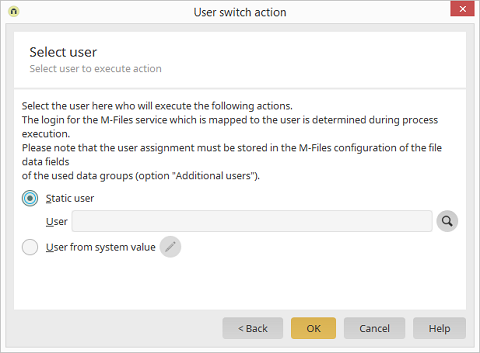 The user assignment must be defined in the M-Files configuration of the file fields from the selected data group. More information about this dialog can be found here.